Adding that dramatic effect while providing safety and security is nearly as easy as flipping a switch. 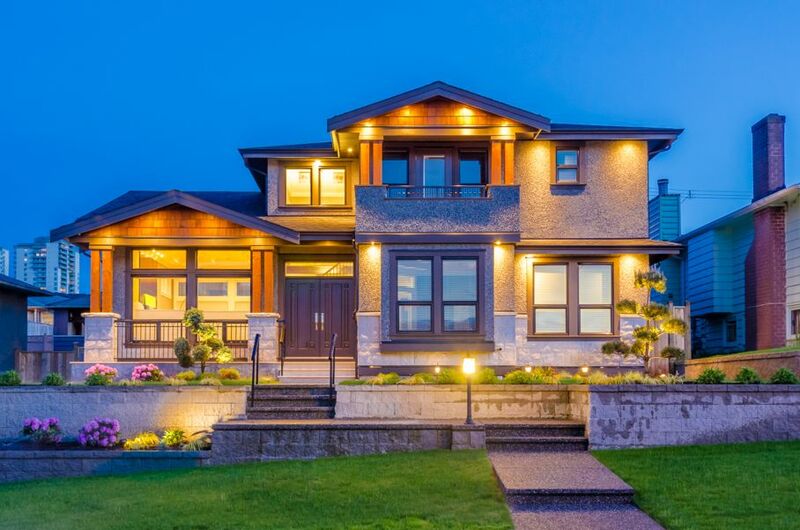 Whether you’re looking to create a distinctive focal point or just add a subtle flourish, exterior lighting is an intriguing way to complement your outdoor spaces. Selecting lights for form as well as function helps create a stylish atmosphere that, done right, reveals hidden textures and scrollwork, and interplays of light and shadow. Ideally, passersby should want to take a second look at your creation. Well-placed lighting creates impressions of visual height, and silhouettes interesting architectural elements. 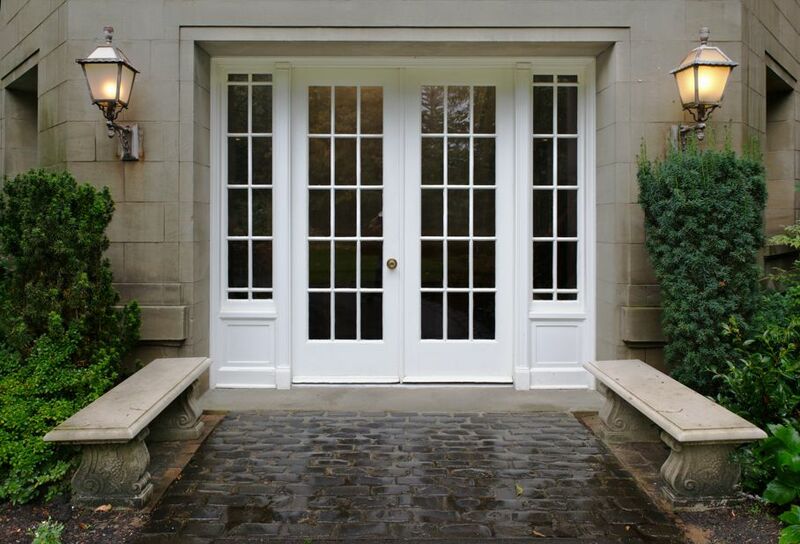 A variety of lighting can be used to highlight particularly arresting points of stone, wood, or landscaping, while multiple layers add depth and accent distinctive patterns. Or indirect lighting bathes space in cool moonlight-esque illumination over a wider area. But avoid trapping the light under soffits and overhangs that can make the house appear as a white-hot square. Think “ambience” without the Disney effect. And don’t forget to update with “green” light bulbs! 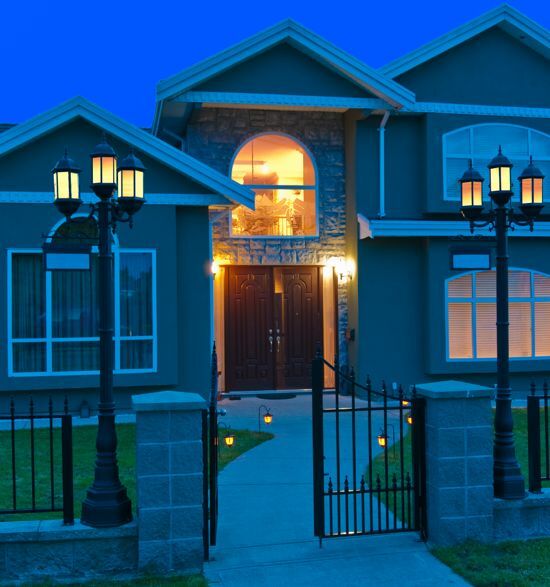 Generate a sense of drama by placing wall lanterns on each side of the front door. 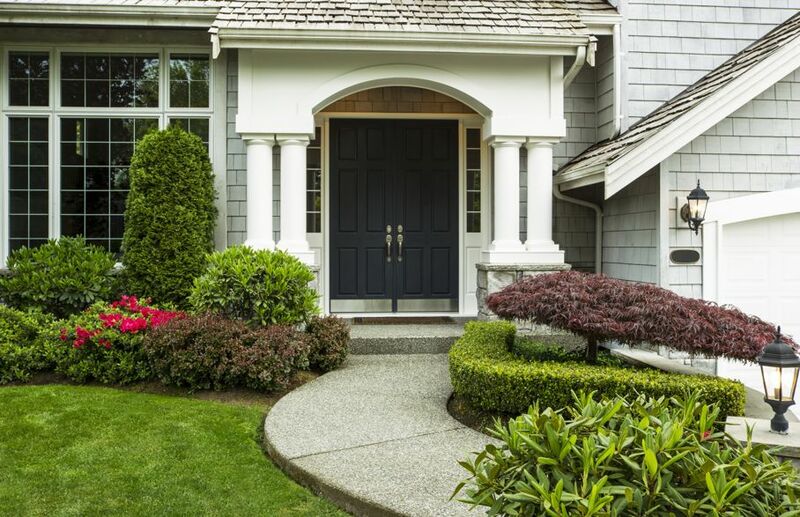 A recessed, chain-hung fixture under the porch eave eliminates the dark dead spots and adds pleasing, eye-catching depth. Tip: using an amber lens makes a dark wood door look even richer. Pathway lights literally draw people in by conveying a sense of welcome. But consider them as gentle guides, not as runway landing lights. Use low-level shielded lighting to prevent glare — bollards work well — and the fewer the better. Or, forgo them altogether. Uplighting the trees and downlighting from the house will cast ample light on the walkway. 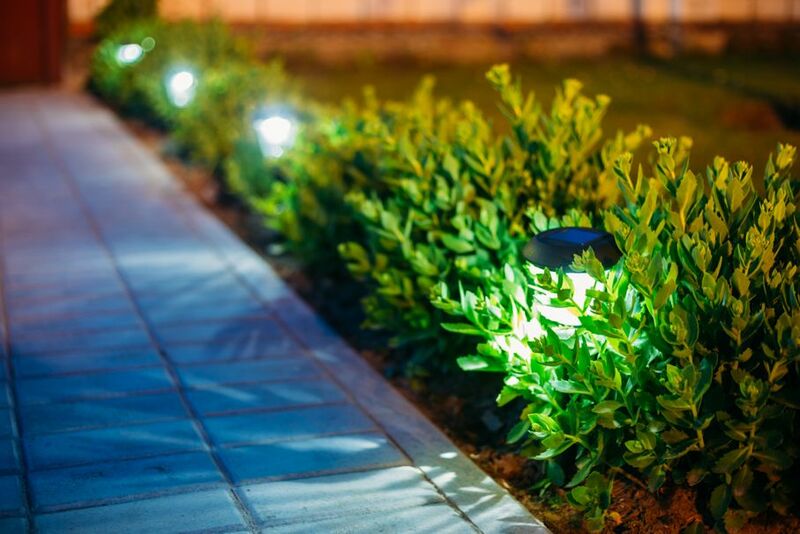 Tip: solar lights, photocells or motion sensor lights are all energy-saving options. Highlight natural features, but sparingly. Some plants appear to love lighting so much they should be stage actors. Hydrangeas, for example, reflect light dramatically when flowering but create dancing shadows even longer by retaining their faded blooms and leaves. Tip: a blue lens will best intensify the color of your evergreens. Blue light, on the cool end of the spectrum, mimics moonlight best and diffuses across entire features. Getting the best effect means placing lights up high, under an eave or a tree branch. But the woodsy feel is worth the effort, and eliminates the need for path fixtures. Indirect lighting also benefits seating areas by creating a cozy atmosphere. Who wants to feel as if they’re on stage when they’re sitting outside? 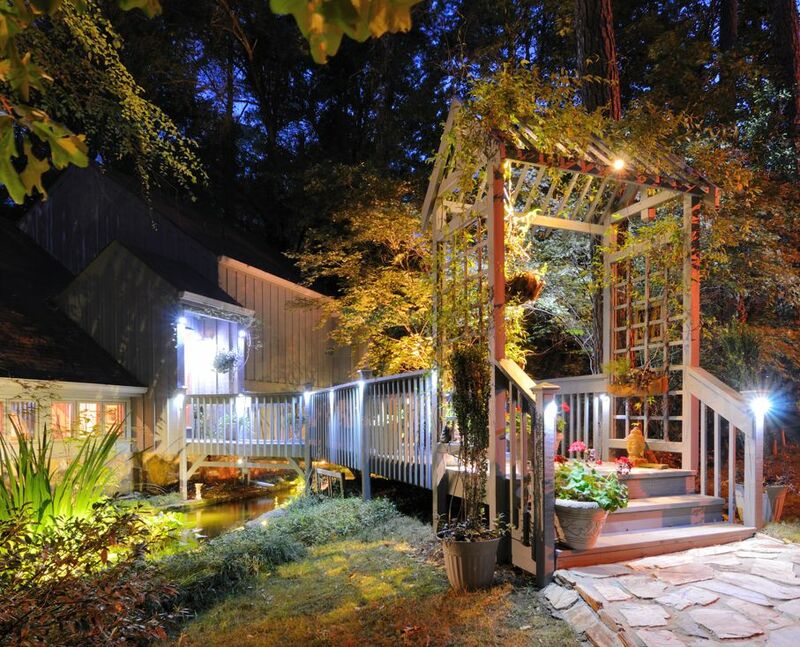 Even a pergola spotlit as a stark focal point, for example, can be made more inviting by use of a dimmer switch. Tip: combine cool, indirect lighting with warm tabletop candlelight to create a “Wow!” effect. Water features lit from within can act as a focal point, but a more natural look will use soft backlighting. When lighting wide areas, focused light can still be important. Use a hidden spotlight for areas that benefit from bright task lighting, such as an outdoor fireplace, and bright underwater illumination in a pool glows with ambient light. Tip: Use a quirky floating solar-powered light in your pool that shifts through a series of radiant colors. 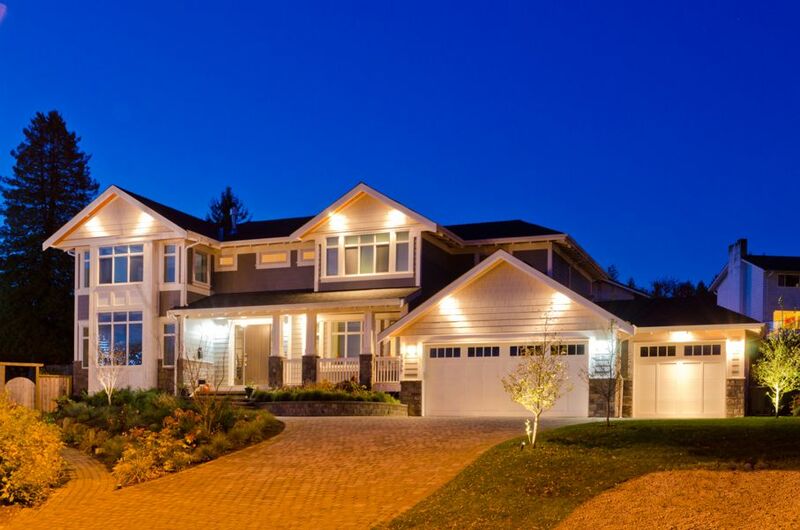 Many cities have special building codes related to outdoor lighting, so check with your local building inspection authority before installing new lighting systems.